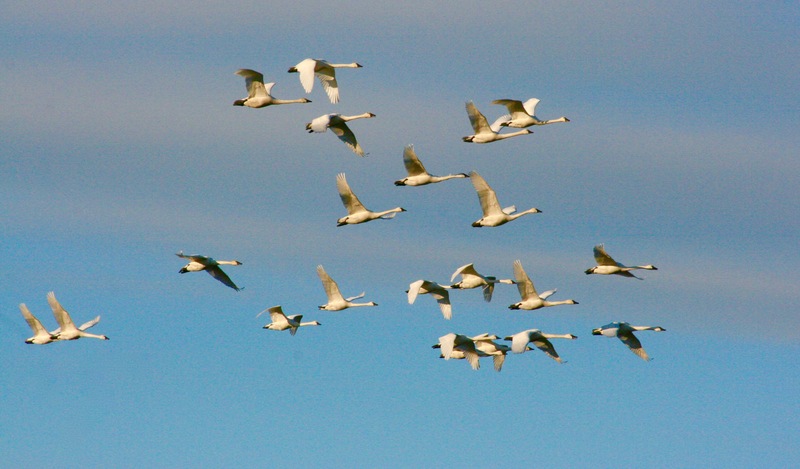 This year, starting in mid-March, thousands of migrating Tundra Swans stopped at the Thedford Bog (a designated Important Bird Area) near Grand Bend, Ontario on Lake Huron and stayed for 13 days. This was some ten days short of their average stay of 23 days over the last 13 years, according to the Lambton Heritage Museum’s statistics (click on “Swan Migration/Discover More”). The Thedford Bog is an important staging area on their annual 6000 km round trip migration to the western Arctic from the eastern USA. 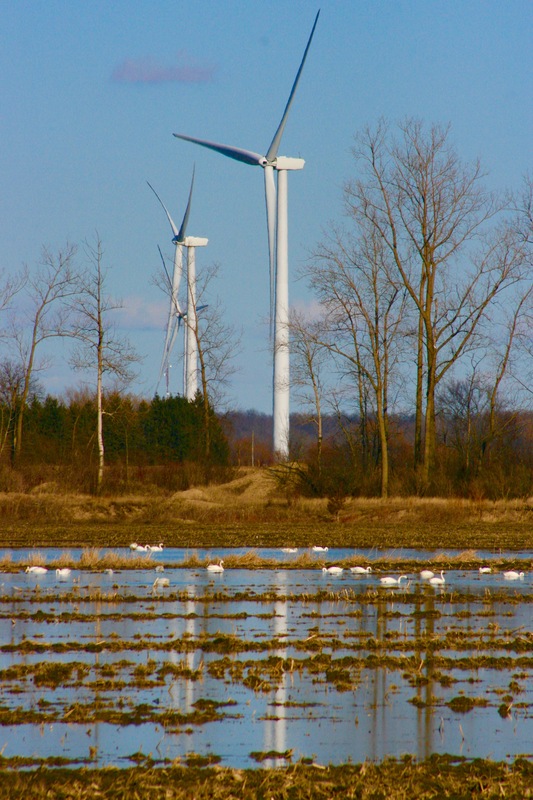 The reasons for their shorter stay could be manifold, but the question has to be asked: does some of it have to do with the fact that the resting and feeding swans are now effectively surrounded by industrial wind turbines on three sides, disturbing their rest and search for food? It is dispiriting driving on the Bluewater Highway (King’s Highway 21), which runs through one picturesque coastal community after another, along most of the entire length of the eastern shoreline of Lake Huron, for roughly 192 km from the Lambton Shores in the south to Southampton in the north until it turns east and inland to cross the Bruce Peninsula. Almost the entire way along the lake, drivers face a bristling phalanx of industrial wind turbine installations, kilometre after kilometre, despoiling the beautiful pastoral and shoreline landscape. It hurts all the more when you know that industrial wind turbines have absolutely no redeeming value except for their subsidy-dependent, usually foreign, owners. They are dangerous, useless, ungreen, and both economically and environmentally destructive. The only saving grace is that the wind turbines along Lake Huron have not been situated between the highway and the lake. But that makes no difference when you look east or, for example, gaze northwest from the wonderful beaches at Grand Bend from where they ruin the view. Coastal beauty vistas, with huge tourist potential, ruthlessly despoiled for the fake planetary emergency of manmade climate change, the rationale for so-called green energy schemes such as the monstrously ineffectual industrial wind turbines. How did this happen? 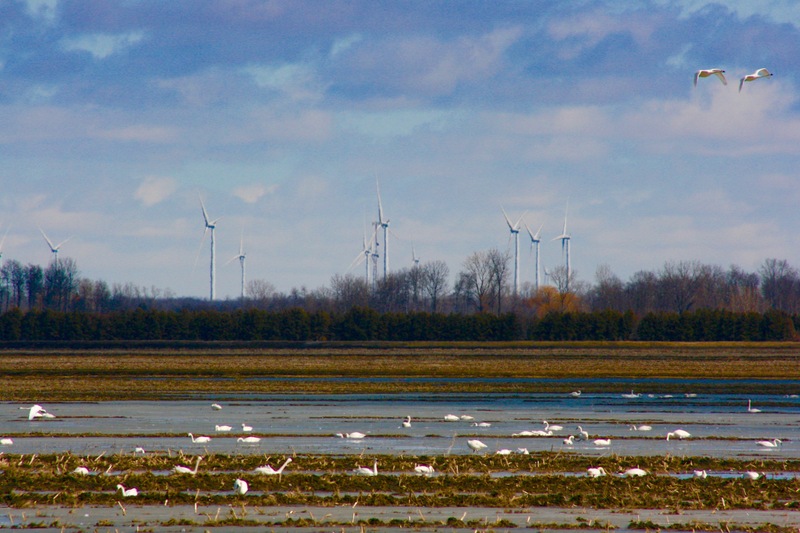 The scourge of industrial wind turbines has been inflicted on Ontario, including the breathtaking Lake Huron shoreline, because of the massive UN-led deliberate scientific deception that the carbon dioxide produced by man’s use of fossil fuels is a demon gas that will overheat the earth and kill us all. Actually, carbon dioxide, i.e. CO2, is a non-polluting trace gas that you cannot smell or see, without which there would be no life on earth. The manmade global warming/manmade climate change $1.5 trillion industrial complex is driven by a pernicious anti-human political ideology, with not one whit of care for the environment or the scientific method. The UN’s malign objective behind this deception is a bid for unelected, unaccountable global governance, the abrogation of national sovereignty, of democratic freedoms, and of property rights, and anti-human plans for de-industrialization and wealth re-distribution (as detailed in the UN’s Agenda 21, the Millennium Project, Agenda 2030). Many of Canada’s governments at various levels, including the current “climate action”-obsessed federal Trudeau regime, have fallen in line and imposed economically-ruinous “green” policies and taxation schemes in order to obey the UN’s diktats.